ISLAMABAD: The PML-N constituted a four-member committee on Friday whose task would be to decide on who would take over as the President of the political party following former prime minister Nawaz Sharif’s disqualification. According to details, it is expected that Sardar Yaqoob Nasir would be once again appointed as the party’s acting President. The chosen members of the committee are Mushahidullah Khan, Khawaja Saad Rafique, Irfan Siddiqui and senator Pervez Rasheed. The committee would ensure the election of the party’s new President is undertaken as per the principles laid down in PML-N’s constitution. The decision of whether the election of the party’s President would be conducted before or after senate elections will be taken as well. 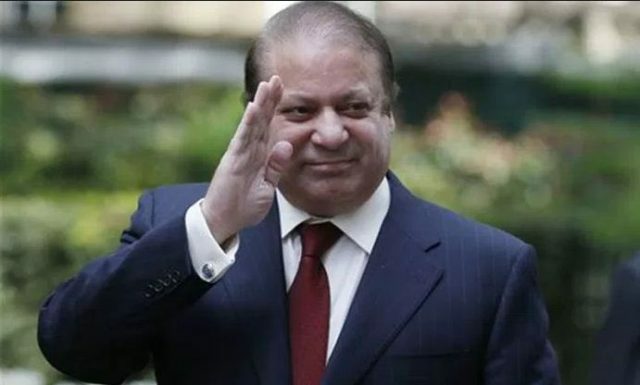 The Supreme Court ruled on Wednesday ousted former prime minister Nawaz Sharif as President of the PML-N, saying a disqualified individual cannot become the head of a political party. In a landmark short verdict, the apex court struck down Section 203 of the Election Act which allowed disqualified parliamentarians to be party leaders. The said clause, according to the court, was in violation of Art 62, 63 of the constitution. The court also declared null and void all the decisions taken by Nawaz Sharif as the President of the PML-N after his re-election. The Supreme Court also cancelled all the tickets awarded awarded by Nawaz Sharif to candidates for the Senate elections. It said that Nawaz Sharif’s disqualification will be effective from July 28, 2017 after his disqualification as a member of the National Assembly. The court said that a disqualified individual can not be elected or chosen the head of a party under Article 62, 63 of the Constitution.